Brin, David. The Transparent Society (Basic Books, 1999). Not just an excellent look at surveillance and transparency, also an explanation of why open societies work. Florida, Richard. The Rise of the Creative Class (Basic Books, 2003). Bestseller about why some places become "it" and why the creatives move there. Jacobs, Jane. The Death and Life of Great American Cities (Modern Library, 1993). The classic book about what makes a city alive. Postrel, Virginia. The Substance of Style: How the Rise of Aesthetic Value Is Remaking Commerce, Culture, and Consciousness (Harper Perennial, 2004). About the need for experimentation and freedom. Soleri, Paulo. Arcosanti: An Urban Laboratory? (Vti Press, 1987). The core ideas of arcologism. Marx, Gary T. "The Iron Fist and the Velvet Glove: Totalitarian Potentials Within Democratic Structures," in The Social Fabric: Dimensions and Issues (Sage Publications, 1986). An old but prescient look at ubiquitous surveillance. McDonough, Michael and Sterling, Bruce. "Newer York, New York" (Wired 8.01). The future green metropolis. Blish, James. A Torrent of Faces (Ace, 1980). A grand description of a world where everyone lives in arcologies. Broderick, Damien. Transcension (Tor, 2002). A back-to-the-roots metavillage and an enhanced juvenile delinquent collide. Egan, Greg. Distress (Eos, 1998). Biotech suburbia and an artificial biological island. Goonan, Kathleen Ann. Queen City Jazz (Orb, 2003). 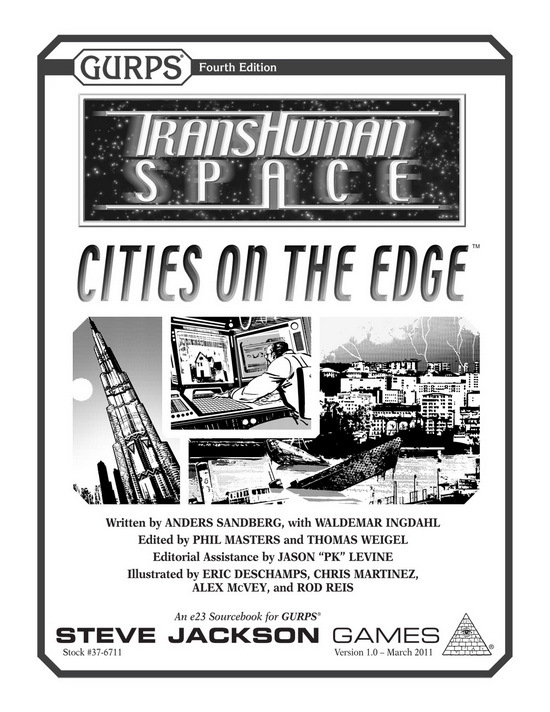 Nanotechnology cities gone wild! McDonald, Ian. River of Gods (Pyr, 2007). A depiction of a Fourth Wave Indian city. Reynolds, Alastair. Chasm City (Heyne, 2003). A description of a decadent nanotechnology city. The city is briefly revisited in different ages in the prequel Revelation Space and the sequel Redemption Ark. Schroeder, Karl. Permanence (Tor, 2003). Notable for its portrayal of a strong intellectual property regime with v-tag environments. Sterling, Bruce. Distraction (Spectra, 1999). Plenty of biotechnology and politics, but also some architectural considerations. Stross, Charles. Accelerando (Ace, 2006). The early chapters especially have plenty of material about the high-paced lifestyle in an early 21st-century city. Vinge, Vernor. Rainbows End (Tor, 2007). 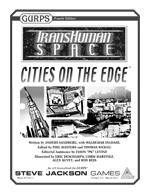 Transhuman suburbia, distributed universities, and emergent cultures. Ellis, Warren. Transmetropolitan (Vertigo, 1998-2004); Global Frequency (Wildstorm, 2004). The first concerns gonzo journalism in the post-transhuman big city; home appliances on drugs, explosive kids, and the joy of gadgets that will be banned within hours – all are to be had. The second concerns a smart mob intelligence/rescue organization handling extraordinary crises; in 2100, private organizations and subcultures can put together networked teams like this. Ghost in the Shell: Stand Alone Complex (Kenji Kamiyama, 2002-2005). Seminal anime about cybershells and emergent crowds.